It’s a known fact that if you want the best deals that save the most amount of money – you need to hunt for them. This takes time and energy – both of which parents never really have. 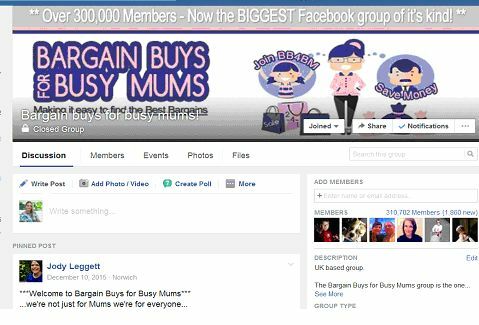 This is why the concept of bargain buys for busy mums (BB4BM) was born back in 2013. It’s a community where members are encouraged to contribute by finding and sharing great bargains so everyone can benefit by saving time and money. The name implies that it’s just meant for ‘mums’, but the community is clearly open to anyone with children in their lives i.e. dads, grandparents, aunts and uncles. 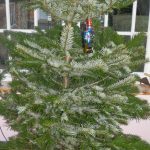 It’s tough trying to cater for friends and family with Birthdays, Christmas and special days throughout the year – with it being a relentless battle to find the ideal presents that don’t break the bank. But instead of wasting hours scouring the high street and the internet, the BB4BM community provides some assistance. Along with providing gift ideas for all occasions, the bargains themselves are validated by the rest of the members to ensure they are actually good deals. This is more and more important in a world where the go-to retailers tell you when they have the ‘biggest’ and ‘best’ sale or a ‘heavily discounted product’, as it is hard to know if what is in the sale is actually a good deal unless you spend time comparing. With the Bargain community they do this research for you – and pretty quickly – it will trend in their Facebook group and get according real-time feedback from other members. So What is ‘Bargain Buys For Busy Mums’? Bargain of the day – a heavily discounted item chosen by one of the admin team each day. The ‘Wanted’ post – where any member can request help from the wider community on finding a product at the cheapest price possible (limited to one request per member, per day). Sales alerts – Get to know early about the Sales from all of the key online retailers so you get a chance to snag the best things in the sale. Bespoke deals and voucher codes. A first looks at the up and coming free prize giveaway draws. Dedicated categories – to allow you to browse by retailer or area of interest. You can easily pickup cheap gift ideas from the wide range of sections from fashion, toys and books, to home, cooking, beauty, crafts, and even weddings. A ‘Latest Bargains’ section that lists the bargains that have been recently added, so you can pickup a great deal shortly after it has been put live – before others get there first and it sells out. A search function for when you know exactly the item you want to find at the cheapest price. 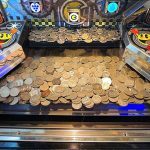 A Freebies section listing some of the best free things currently out there – but as with most freebies, you have to generally have to give your email address to third party companies, so be aware. A Cheapest nappies tool– This lists the top two cheapest places to get nappies across all brands, and with each nappy size included. This is updated daily by the team. Helping others – a section dedicated to information on how BB4BM is helping other communities that are in need each month with donations of toys and learning aids to different UK Children’s hospices and schools – as well as helping to raise awareness for the work each charity does. An email alert newsletter sent out on weekday evenings that simply lists 6 of the best bargains shared in the community in that day. At the end of each week one winner is chosen from the subscriber base to receive a prize. 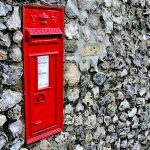 A monthly email newsletter that sums up the best bargains of the month, gives some advance bargain previews, exclusive voucher codes, an exclusive freebie and a pick of the best sale events. 4 monthly winners are also chosen from the subscriber base to receive prizes. 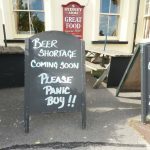 Using a bargain – If you like the look of a listed bargain in the Facebook group, website or a newsletter, just click on the ‘go to bargain’ button. You will get directed to the online retailer’s site that is offering the item at the deal price so you just follow their purchasing process and buy while there is still stock available. 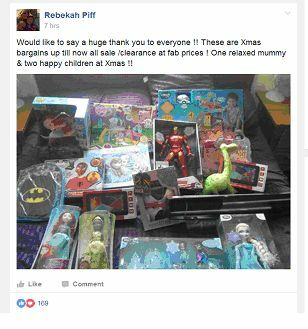 Sharing a bargain – If you find a great bargain, just take a photo or a screenshot and post it into the Facebook group with a title, description and cost – let everyone else in the community benefit from the find. How much does it cost… and what is the catch? There is no fee to join the community, it’s a closed Facebook group, but if you request to join with a valid Facebook profile you will be approved by one of the team. You can use the website whenever you wish. The newsletters are free to join and as long as you are subscribed you have an entry into the free prize draws – you can unsubscribe at any point. You don’t pay anything more for the deal by going through the links in the Facebook group, the website or newsletters. 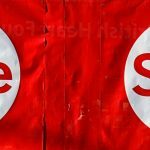 There isn’t a catch, they make a small commission from some of the bargains posted into the community and from advertising space on their website. Both the feedback and the volume of members speak volumes, with the community being a very engaged group with the strong focus on saving time and money. Even in July people are already stocking up for Christmas with some of the listed bargains. 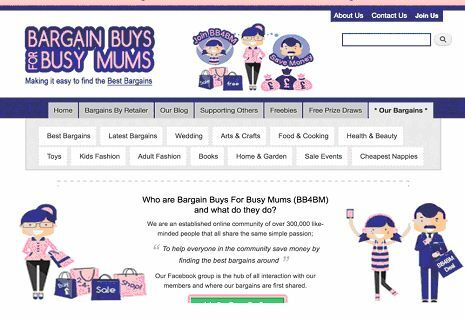 As it’s free to join, it is worth a look – find out more information on the website: www.bargainbuysforbusymums.co.uk.